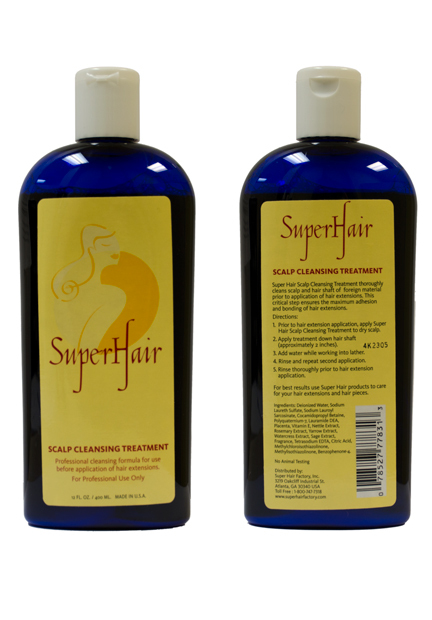 Super Hair Scalp Treatment (12 oz bottle) - Super Hair Factory Inc.
Super Hair Pre and Post Scalp Cleansing Treatment thoroughly cleans scalp and hair shaft of foreign material prior to application of hair extensions. 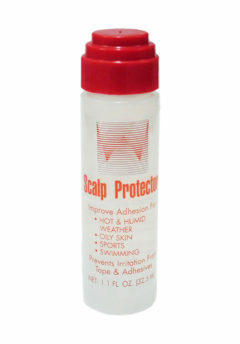 This critical step ensures the maximum adhesion and bonding of hair extensions. 1. 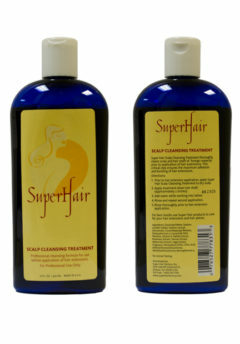 Prior to hair extension application, apply Super Hair Scalp Cleansing Treatment to dry scalp. 2. 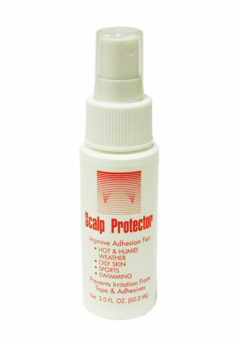 Apply treatment down hair shaft (approximately 2 inches). 3. Add water while working into lather. 4. Rinse and repeat second applications. 5. Rinse thoroughly prior to hair extension applications.